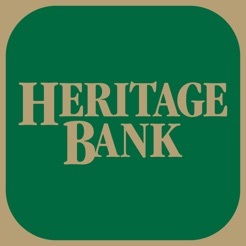 Heritage Bank allows you to bank on the go. It’s free to download and offers quick access for managing your bank accounts. Check your account balances, transfer funds, pay bills, locate ATMs and bank branches with just a touch. It is available 24/7 using your existing Internet Banking access ID and password. You must have an active Internet Banking account with Heritage Bank.